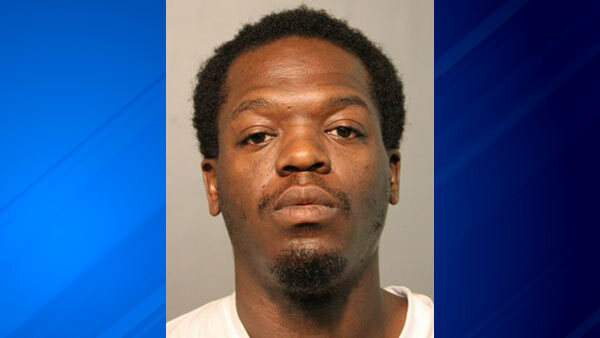 CHICAGO (WLS) -- A Chicago man has been charged in connection with an attack on a 25-year-old woman near a CTA Red Line station in Rogers Park over the weekend. Milton Anderson, 26, is charged with one felony count of armed robbery and one felony count of criminal sexual assault, according to Chicago police. Police say Anderson followed the woman off the train at the Jarvis stop around 4:30 a.m. Saturday. About a block away from the stop, police say he grabbed her from behind, pulled a gun and forced her into a secluded area where she was sexually assaulted. After the attack, police issued a community alert and distributed CTA surveillance photos of the suspect. Surveillance photo of suspect in a sexual assault near a CTA Red Line station in Rogers Park. Investigators said Anderson went to Alderman Joe Moore's office, who later accompanied him when he turned himself in to police. Police said the victim positively identified Anderson as the attacker.